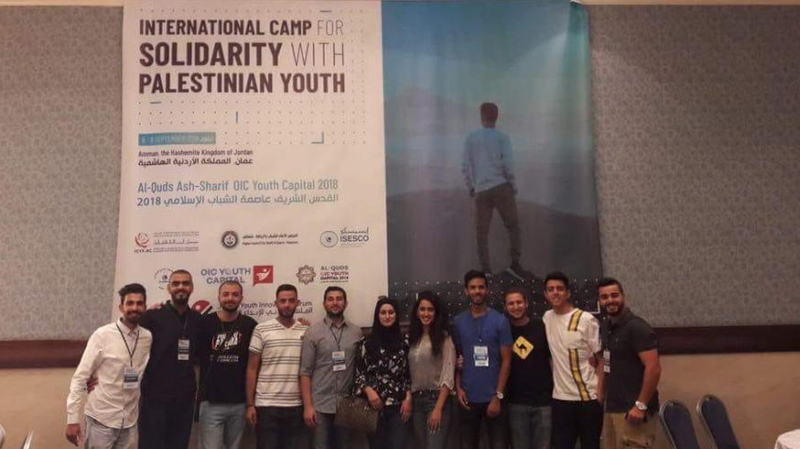 Ten Birzeit University students took part in the ‘International Camp for Solidarity with Palestinian Youth, held for three days from September 6 - 9, 2018, in Amman, Jordan. The camp was organized by the Islamic Educational, Scientific and Cultural Organization, together with the Islamic Conference Youth Forum for Dialogue and Cooperation, the Federation of the Universities of the Islamic World, and the Palestinian Higher Council for Youth and Sports. Attended by over 70 youths from Palestine and member countries of the Organisation of Islamic Cooperation, the camp included group discussions of programs and initiatives that would help Palestinian youth counter the Israeli Occupation, support the Palestinian cause, and protect the Arab and Islamic heritage and identity of Jerusalem.